LEADING UP to Chanukah, 2014, former Hasbro toy and game company employee Neal Hoffman conducted a successful Kickstarter online crowdfunding campaign to get out his new product, Mensch on a Bench. The Cincinnati resident was readying for an even bigger stage: national TV. Hoffman’s toy-and-book set based on the story of the character Moshe the Mensch sold more than 50,000 units, generating close to $1 million in revenue. The product  a Jewish take on the famed Elf on a Shelf Christmas toy  has distribution in Target, Michaels, Bed Bath & Beyond, Toys R Us, Barnes & Noble and Hallmark. That kind of success can only mean one thing: an appearance on the ABC networks popular Shark Tank program, in which entrepreneur contestants seek funding for their ventures from high-profile investors. The Shark Tank segment aired Dec. 12, 2014. ”I remember smiling ear to ear walking down the hallway and thinking to myself, I did it,” Hoffman says regarding his entrance into the Shark Tank set. Hoffman has common ground with one of the sharks, investor Mark Cuban, in that both are Jewish — something Hoffman thought might give him an inside track to scoring a deal with Cuban, the owner of the NBA Dallas Mavericks. Cuban not only passed on the opportunity but also teased the product. Undeterred, Hoffman solicited the interest of three other sharks. After being offered $150,000 for a 30% stake in his company by sharks Lori Greiner and Robert Herjavec  a tandem that outbid Barbara Corcoran, who despite not securing a deal offered advice on the design of Hoffmans product, Hoffman went from part-time dreamer to full-time Mensch on a Bench employee. ”I am a huge fan of the show. I still cannot believe that it happened,” Hoffman says. THE IDEA for Mensch on a Bench came while he was walking through the store with my son and he asked for an Elf on a Shelf. Hoffman was concerned that his children would not have a religiously relevant holiday toy like the elf enjoyed by their Christian friends. ”I really wanted something to reinforce Judaism,” he says. 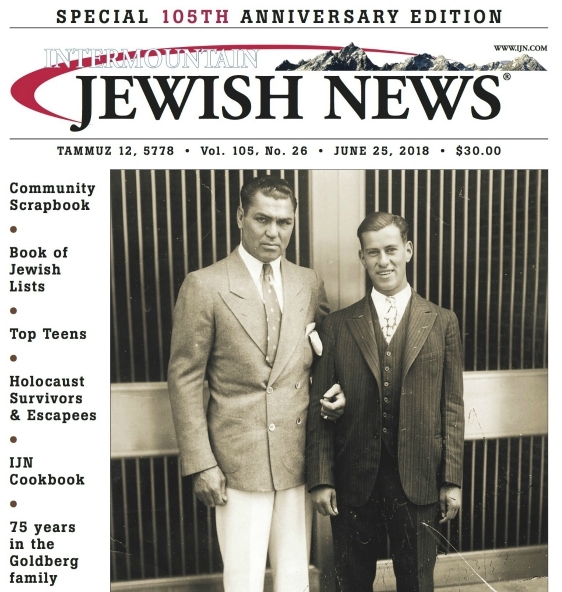 Though the Mensch started as a laughing reply to his son Jacob’s request, Hoffman soon began to think of possibilities for making Moshe come to life. ”First came the name [Moshe the Mensch], which I fell in love with,” Hoffman says. After writing the story of Moshe, Hoffman first read the tale to Jacob. Once securing his son’s approval, he began designing the prototype of Moshe. As more people began to hear and embrace Moshe’s story, Hoffman was emboldened and began to reach out. “We funded the original project via Kickstarter to test out the idea,” he says, noting that many of the donations came in Jewishly appropriate denominations of $18. EACH MENSCH on a Bench set includes a full-color hardcover book that tells the story of Moshe, a do-gooder who demonstrates the way to keep Chanukah and the rest of the year bright through good deeds. Each set also includes Moshe, a stuffed toy, and a bench on which he can sit while he watches over the family that owns him. The first Mensches did not arrive at Hoffmans house until one week before Chanukah, 2014. ”We stayed up all night packing them up and shipping them out to make sure everyone got them on time,” he says, citing what he believes is a modern-day Chanukah miracle. Hoffman appeared on The Today Show and The View — and the products first batch sold out in 10 days. ”We have gone from an unknown to a household name in 24 months, which is every toymaker’s dream,” he says.